Baby Proofing Your Home Check-List - it's BABY time! I have compiled a list of my favorite safety products for baby proofing your home that I use as well as some other safety items commonly used by other parents to help keep your kids safe. As your child grows you will need to make some updates to your child proofing efforts to ensure your child’s safety as they begin to climb and open doors. *A tip for baby proofing your home – when your little one starts getting around and begins crawling periodically get down to their level and see if you can spot any potential dangers or small objects they can get a hold of. This is a good way to keep to be sure you haven’t missed anything or pick up small items that may have fallen or dropped that could pose a choking hazard. These are some top picks in safety products for safe-guarding the kitchen from your little one. Many of these items can also be used in other areas of the house as well. 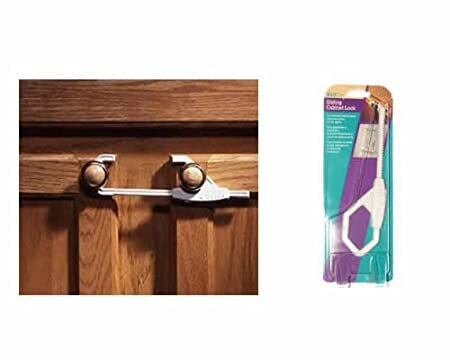 This magnetic locking system can be used on both cabinets and drawers to keep little ones from opening them. They are easy for parents to operate one-handedly using the strong magnetic key to unlock which can be stored high enough to where it’s out of reach of curious tots. We had the older spring-action locks already installed in the house we moved in but I could see how I’d like these better because little fingers can’t get caught or pinched as the door stays closed until you use the key. They can also be disengaged for temporary periods when you don’t use want to use them. 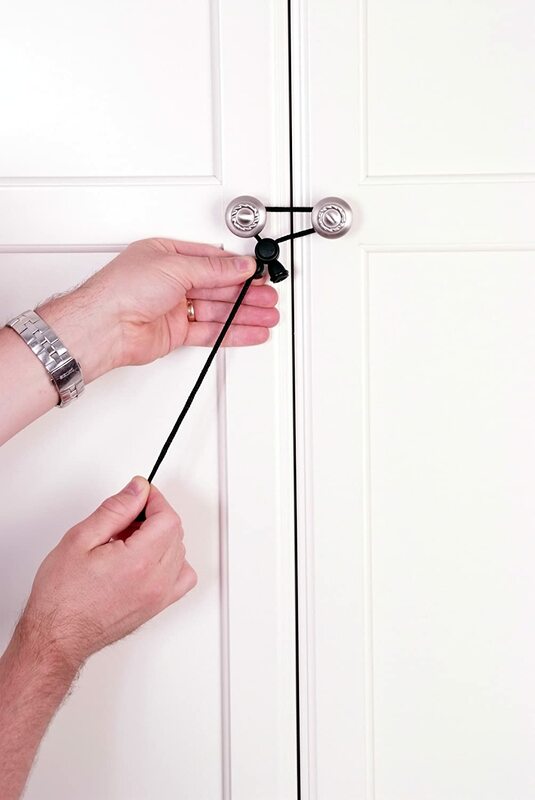 I liked these drawstring safety cabinet locks to use on our pantry doors. 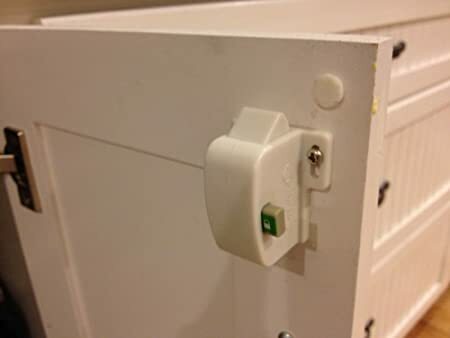 These are great for high cabinets or pantries with knobs (they will not work on straight handles, however because they are adjustable for fitting over knobs and won’t go through handles) They are very easy to operate and do not require any drilling and will not damage your cabinets, which may be ideal for renters. 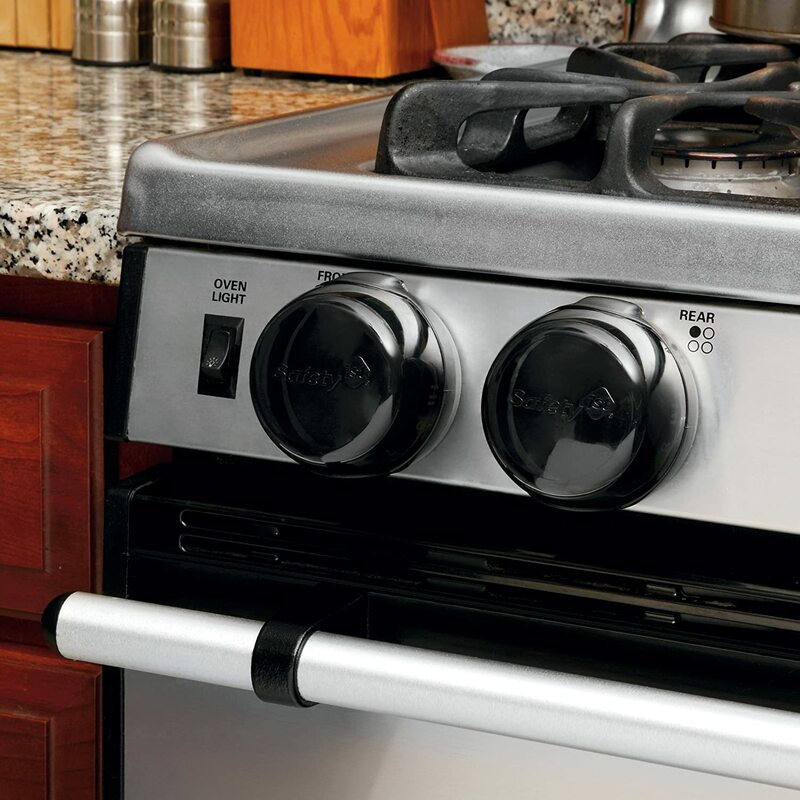 If your stove has knobs on the front you will need to get some covers such as these by Safety 1st to keep your little ones from turning on the burners or the oven. 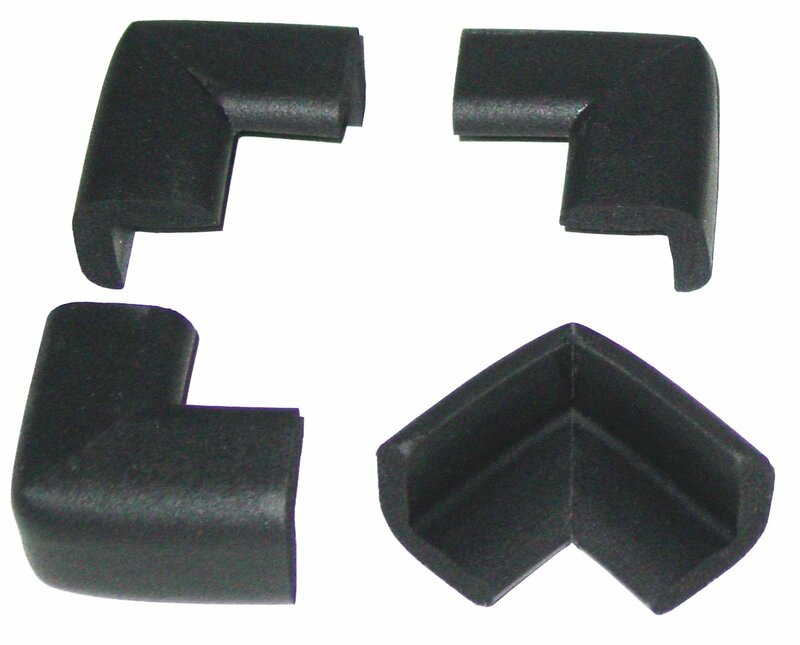 They are universal to fit most stove knobs and very easy to install, easy to operate, and made of heat-resistant plastic. These are also tinted so they match nicely without looking so conspicuous. 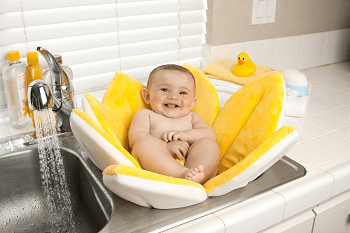 You can find additional baby safety products in our Baby Bath Products Checklist, however these are some other items you can use to keep your baby/toddler safe. You could use the same cabinet locks as listed above for the kitchen if you choose, especially if you already have some leftover. I preferred these sliding locks for the bathroom cabinet. They work on knobs or handles. To unlock you just slide the pieces apart. There is no drilling required to install or excess string hanging which babies may be tempted to pull on. 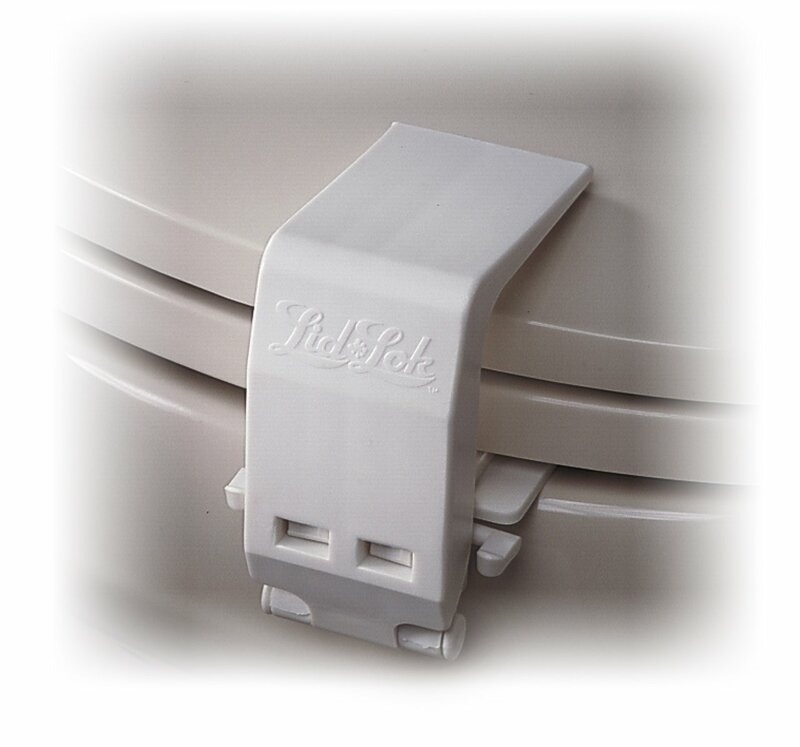 Having a toilet seat lid-lock is really handy not only for keeping kids safe but it also protects your plumbing from having random objects flushed away. It fits any style and size toilet bowl and lid, easy for adults to open, and easy to install without adhesives. You can also remove it just as easily when you no longer need it. 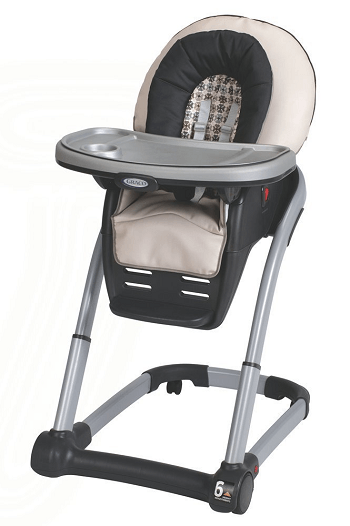 There are many ways your little one can injure themselves in a room filled with electronics and large pieces of furniture, which is why these safety products are essential to baby proofing your living room. You will want to get outlet covers to use in multiple rooms where electrical outlets are exposed within a child’s reach to protect them from shock. These plug covers are easy to use and remove when you need your outlet with a flat design that makes it difficult for tiny fingers to figure out. 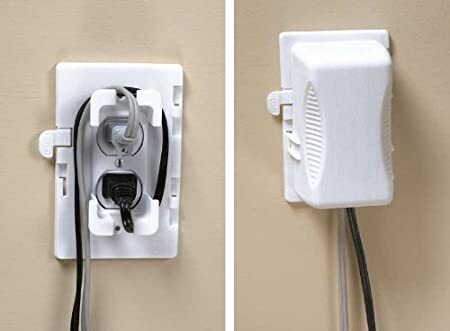 This outlet cover is great to use over your outlets that you frequently use to keep curious tots from pulling out the cords exposing them to the outlet. It also helps to shorten cords to keep them out of the way and preventing accidents. You screw in the plate and the cover just snaps on and off for easy use when you want to unplug your plug-in. If you have a power strip for multiple plug-ins (such as behind the TV or office) this power strip cover protects little ones from any exposed outlets, pulling out the cords, and prevents tampering with the on/off switch. It works on single row power strips as well as surge protectors. The only thing is it won’t close if you use a large plug such as a cell phone charger. According to the CPSC (Consumer Product Safety Commission) emergency rooms see over 22,000 kids younger than 8 for injuries resulting from TVs tipping over. 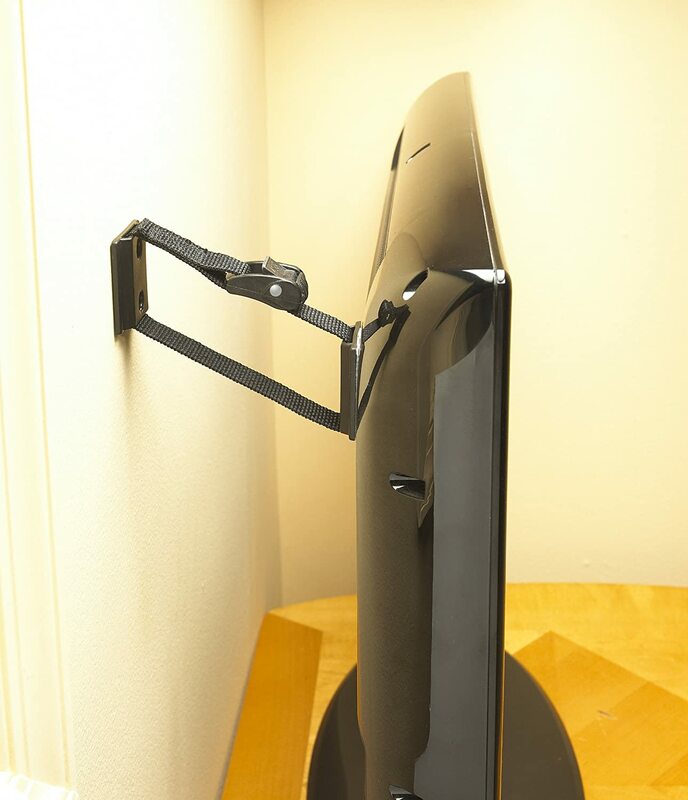 Anti-tip strips can be used to secure large, heavy objects to the wall or furniture such as flat screen TV or bookcases to protect adventurous tots from injury. They can be installed using a high-bonding adhesive or reinforced with screws. Use these soft corner cushion guards to prevent your toddler from bumping their head on sharp corners. Use them on coffee tables, end tables, or any piece of furniture with sharp corners. They adhere to furniture with double-stick adhesive. These by KidKusion are available in a variety of colors to match your furniture and decor and are also non-toxic and phthalate free. The nursery should be one of the safest rooms of the house because this is probably where your little one will sleep and play. 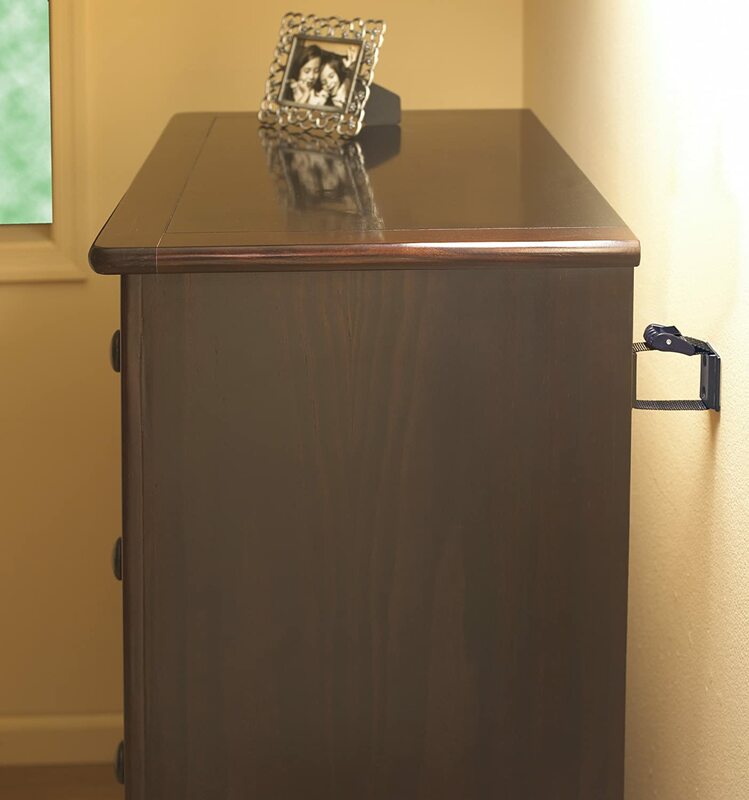 In addition to using plug covers over exposed outlets and anchor strips for dressers or bookcases, these are some additional products you can use to keep them safe. We have heavy doors in our home which can pose a pinching hazard for tiny fingers. These finger pinch guards are cute in animal prints (place above the door knob to keep your tot from being tempted to play with them) and prevent the door from slamming or closing on hands and fingers. 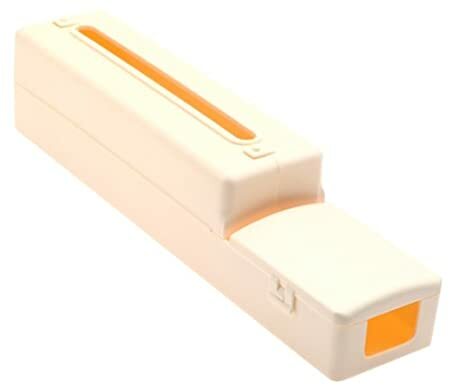 They do not require any adhesives or drilling and can easily be removed when you want to close the door. Dangling blind cords pose a danger of entanglement to crawling babies. 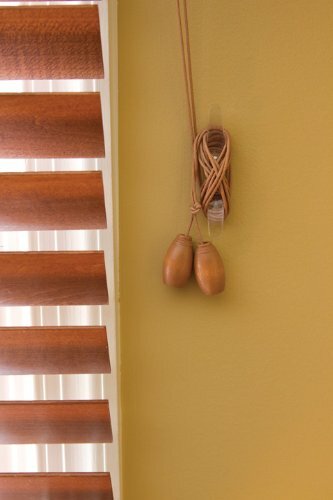 These blind cord wraps can be used in the nursery or the living room to keep babies and toddlers from pulling on blind cords and becoming entangled in them. These are clear to go with any color blinds. Mount them to the wall using screws for easy installation. A baby monitor allows you to hear when your baby cries while you are in another room or if you take a step outside nearby. 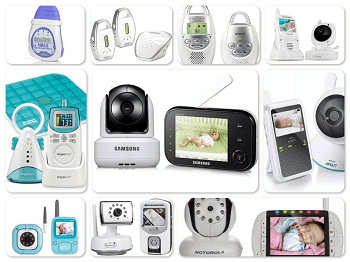 There are many different types and varieties available from traditional sound monitors to video and even sensor monitors that you can see your baby on. 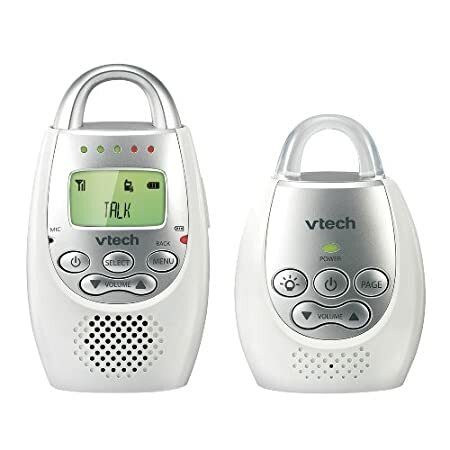 This VTech Digital Audio baby monitor is one of the top rated in audio sound monitors. 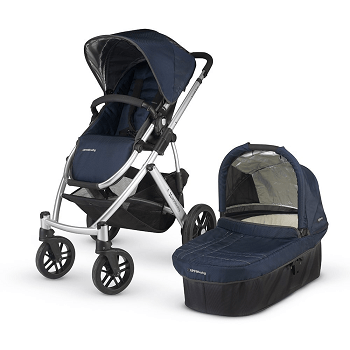 It delivers a clear transmission without the static and it lets you speak back to your baby. These were just a couple of items I found useful for around your house to help keep your little ones safe by keeping certain areas off-limits. You can use these in any part of the house. We used them to our kitchen and the hallway to our bathroom and bedroom. 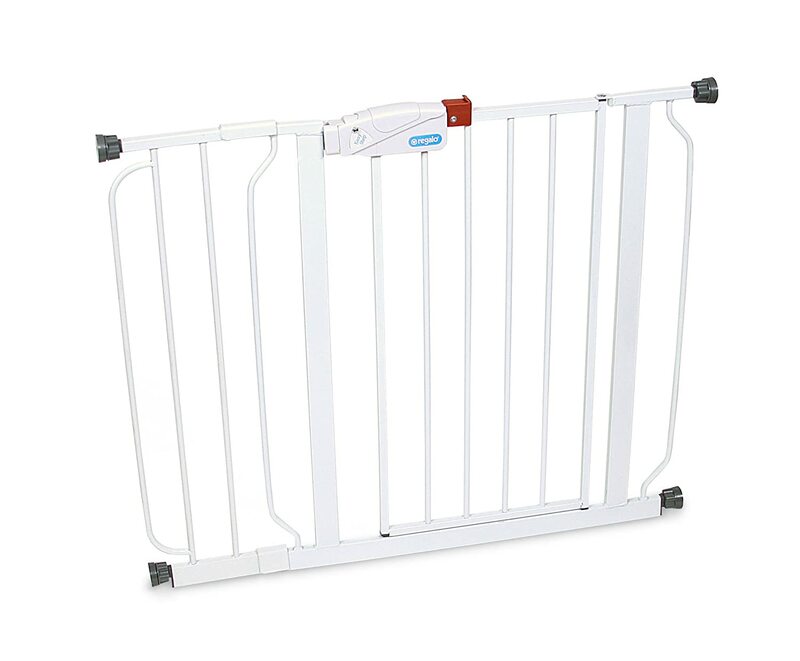 In addition to baby proofing your home, these help to keep little ones out of rooms or areas where you don’t want them when you aren’t in there. Also if you have stairs in your home you should use a gate to the stairways to prevent accidents. I loved these walk-through gates because it’s easy to use and very sturdy. You can open and close it with one hand to walk through rather than climbing over or unlatching the whole thing each time. 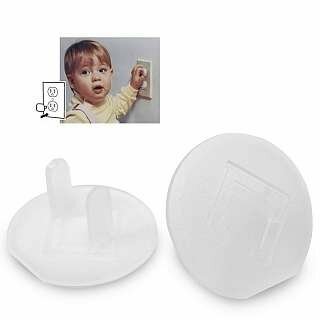 These are great to use on door knobs for rooms that you don’t want your children wandering into such as the laundry room or your office. 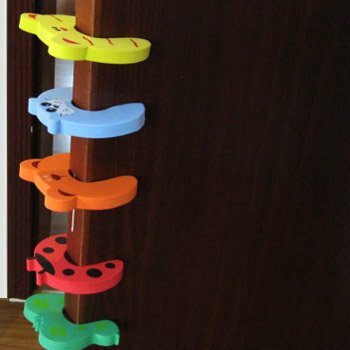 Use them on your exit doors to prevent your toddler from venturing outside alone. 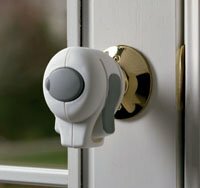 These knob locks are pretty easy to install and operate for adults while keeping little ones from opening the door. These are just some of the most common safety products for baby proofing your home. While these products will make it easier to keep your child safe remember that there is no substitute for adult supervision. If you have a safety product you like that isn’t mentioned here, please leave a comment telling us what product you use to help keep your little one safe from injury. I need some argent baby proofing tools for my home. My kids are too much curious about everything, like the kitchen, balcony, refrigerator even bathroom stuff. Thanks for making a home checklist. It is great for us.